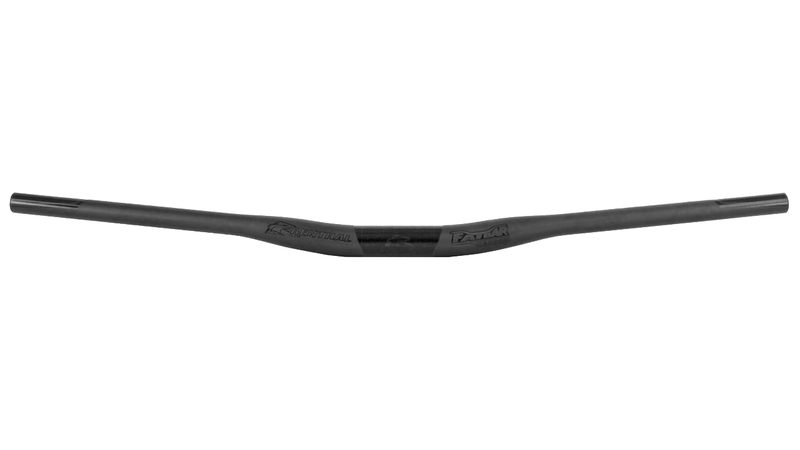 The Renthal FatBar Carbon Handlebar was designed to be the ultimate DH race handlebar. 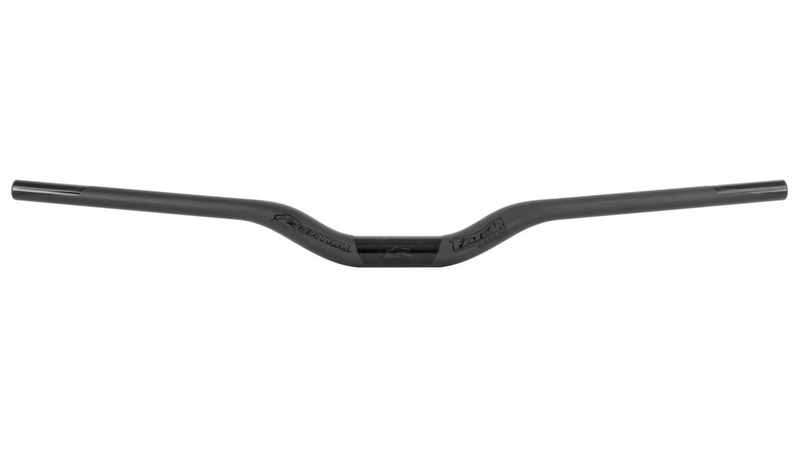 A product of an intense and in-depth research and development program, this ride-tuned handlebar combines the ultimate blend of strength, stiffness and shock absorption. A generously wide 800mm of width and market leading 225g weight make the Renthal Fatbar Carbon a top contender. 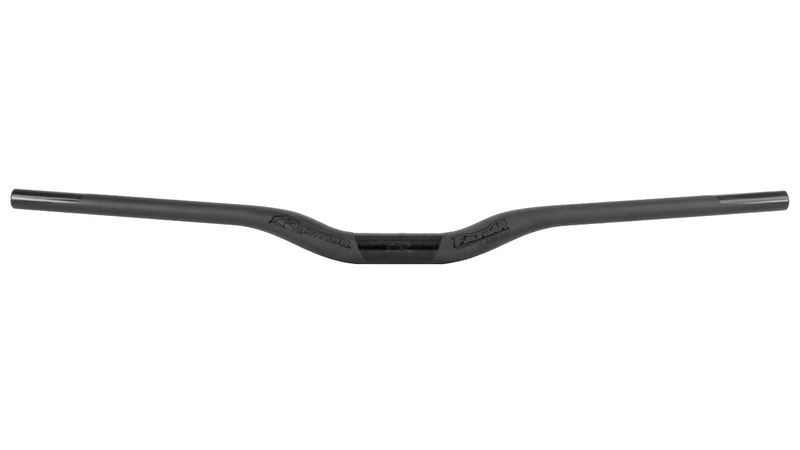 The Fatbar Carbon uses a full UD carbon construction. Efficient placement and orientation of the uni-directional carbon fibers maximizes the strength and stiffness of the handlebar. 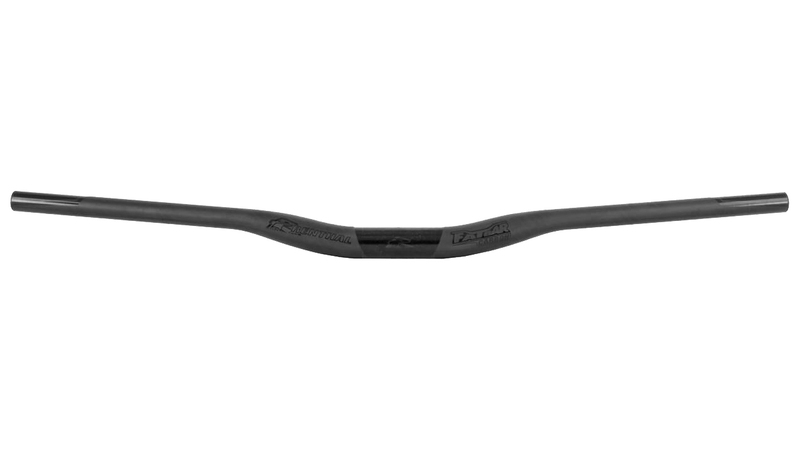 The Fatbar Carbon's extended central clamp section extends much further than typical handlebars, widening the span of the oversize section and greatly increasing strength and stiffness. Trim markers at 10mm increments to 700mm allow for easy trimming of bars to suit your body type and riding style.